The idea behind the project was to create a modular housing unit that guarantees a comfortable space and at the same time a minimum surface area. For inspiration, we have reached wheat fields that are typical of the Polish landscape. Analyzing the shape and dimensions of a single stalk, we noticed that with a minimum occupied ground area, it contains about 20 individual units – grains. When designing, we used the proportions of a stalk to form one communication division – elevator + stairs, to which residential units were attached. 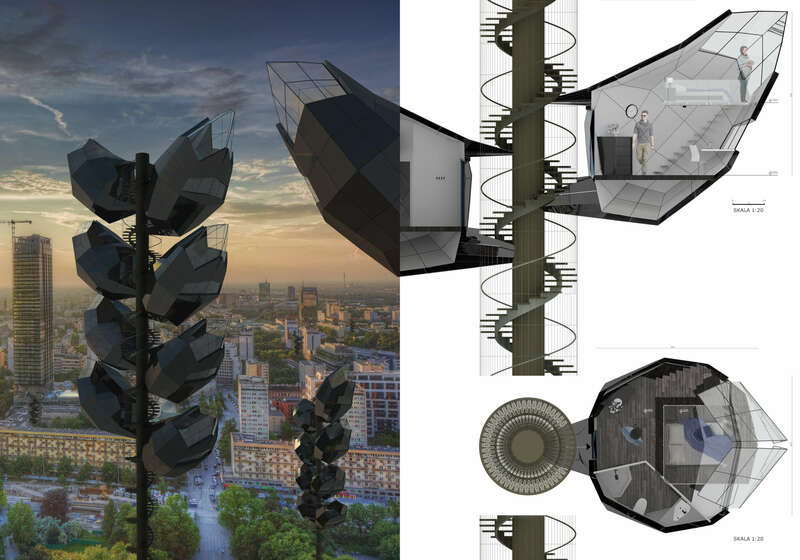 Depending on the needs, the project can be expanded by increasing the number of capsules on one shank from 8 to even 20, still occupying the same surface area. 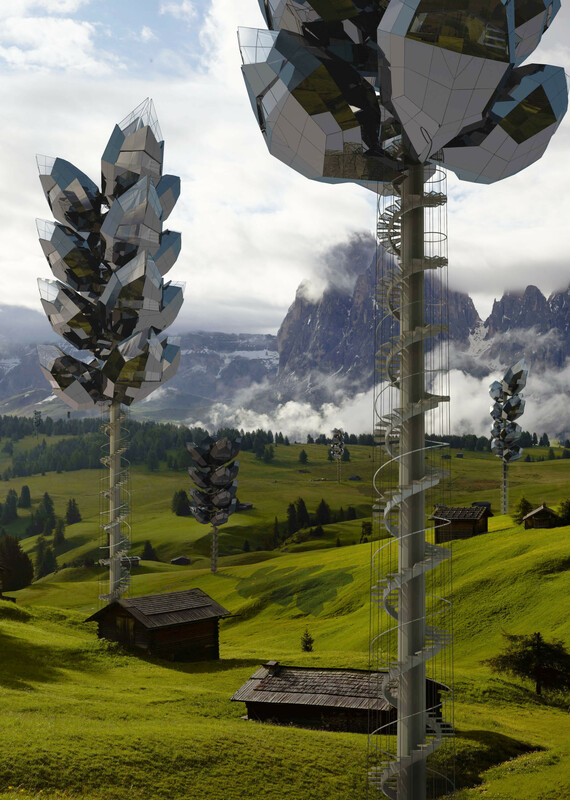 Each of the residential units is divided into two parts – a daily and a sleeping one. The living area offers a space to work, a kitchenette hidden under the counter and a bathroom. 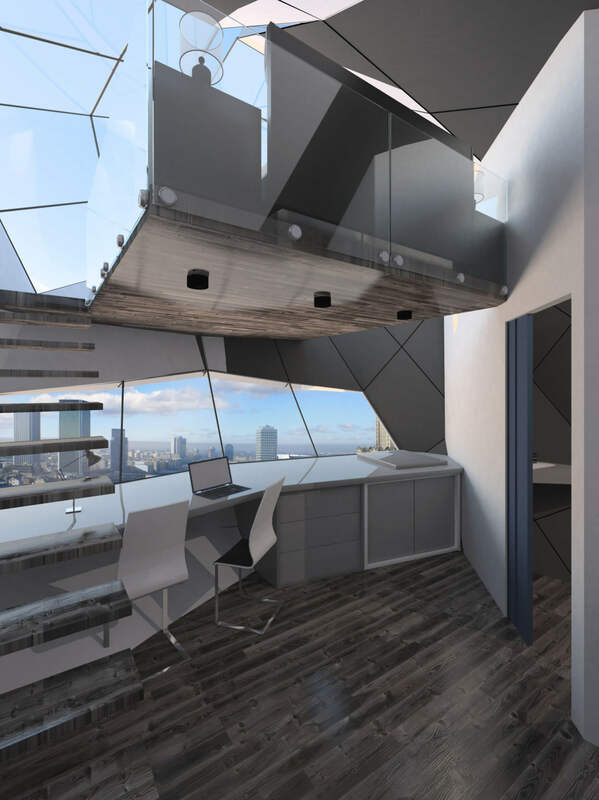 The panoramic window guarantees an amazing view from every unit. The sleeping area is located on the mezzanine, where there is a double bed. 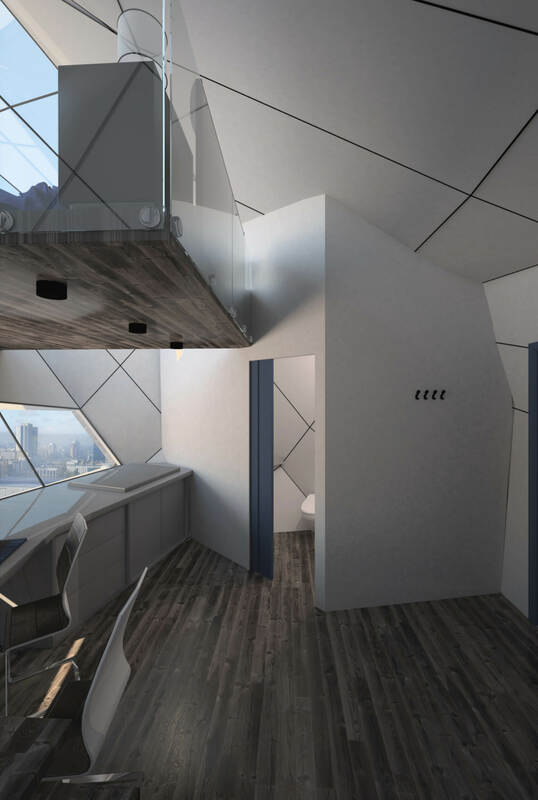 Each of the capsules offers 16 square meters of living space, and their arrangement on top of each other allows you to level the projection in the basement only to the dimensions of the communication section. The design, thanks to its modern appearance and nature inspiration, perfectly fits both in the city landscape and in green areas.